NAPLES — They called the transactions "shareholder loans." Over three years, Charles Bennett III and Kenneth Marwick moved hundreds of thousands of dollars in condominium association fees into and out of multiple bank accounts they controlled and used for personal expenses, according to an affidavit. Investigators call the transactions embezzlement, and they say the men stole $291,500 from the Lovers Key Beach Club & Resort Condominium Association between July 2005 and October 2008, much of it ending up in Bennett's personal bank account. Friday, both men were arrested on charges of first degree grand theft, a felony punishable by a maximum 30 years in prison. Bennett, 61, of Naples, remains in Lee County custody. Marwick, 64, of Bonita Springs, was released Friday on $30,000 bond. In the affidavit, filed after the arrests, State Attorney's Office investigators trace 18 transactions made by the men during the three years, in amounts ranging from $2,500 to $40,000. Each alleged transaction involved multiple bank accounts under different business names, all of which are alleged to be controlled by Bennett or both of the men. Much of the money originated from two primary accounts for the association, an operating account and a reserve account, according to the affidavit. Both accounts are fed by association fees paid by condo owners. The accounts came under Bennett's control through a company he owned called EID Management & Realty. In 2000, the association named EID Management & Realty as property manager for the high-rise. Marwick became president of the company in 2007. In the same period, the men operated a separate venture known as EID Management LLC, which was intended to collect money from rented condominiums, a portion of which would then be forwarded to condo owners, according to the affidavit. Investigators say Bennett and Marwick instead funneled money from the operating and reserve accounts into the LLC and other companies controlled by the two men, all of them unrelated to association activities. A third association account, a money market, was also used in several of the transactions, according to the investigation. The money was moved via online transfers and by checks written from one account to another, the affidavit holds. Investigators named seven different companies created or controlled by Bennett that were used in the alleged embezzlement. More than $350,000 was moved through the companies, the affidavit states. Investigators say $88,000 was deposited into Bennett's personal bank account. A bookkeeper for Bennett, Marcia Jacquith, told investigators in September that the men referred to the money as "shareholder loans." Jacquith said that at Bennett's direction she cut checks from the EID Management LLC account to pay for Bennett's personal credit cards and car payments. She said the men tried to cover their tracks by moving money into the operating and reserve accounts prior to association board meetings. She said Bennett once borrowed money from his brother to make the accounts whole before a meeting, only to remove the money days later. Jacquith told investigators that Marwick created bogus statements on behalf of EID Management LLC to condo owners. The statements accurately reflected what each owner was owed from rentals, Jacquith said, but it lied about total funds in the LLC's account. Marwick declined to speak with investigators unless he was offered immunity, a deal investigators rejected, according to the affidavit. It's unclear if Bennett spoke with investigators. State Attorney's Office investigators Kevin Smith and Charles Battaglia handled the inquiry. 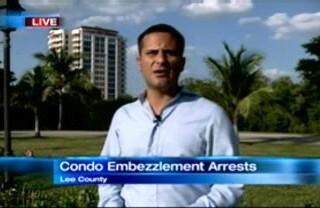 The affidavit lists 80 condominium owners, most of them couples and businesses outside of Southwest Florida. Authorities first became aware of the transactions when current association president Michael McEvoy approached the Sheriff's Office in April. Warrants for both men were released on Wednesday. 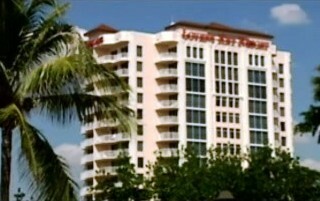 Bennett faces other troubles related to the Beach Club & Resort Condominium. In September, a Lee Circuit judge ordered him to pay $1.06 million to jilted investors in a failed boat club he and Marwick tried to establish at the property. Five investors claimed fraud in the complaint, but the judge awarded money only on breach of contract allegations.